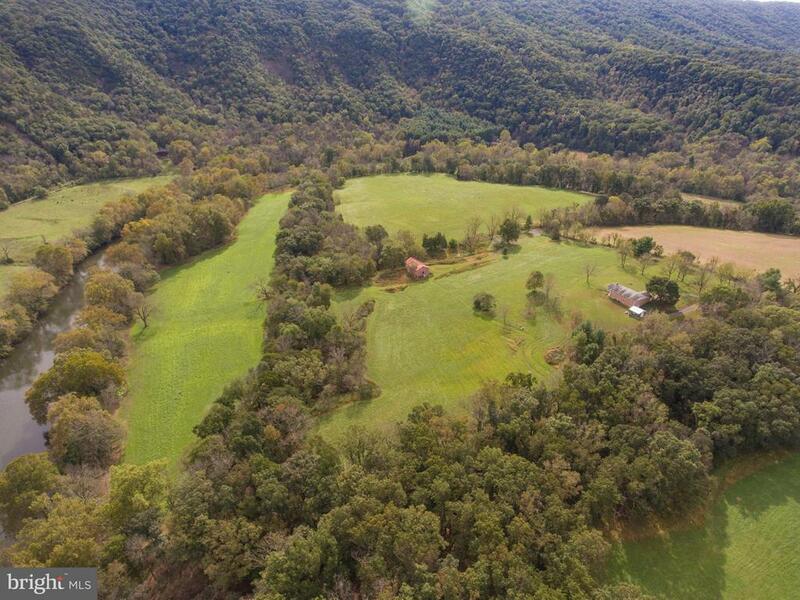 Welcome to Bluebell Farm: Serenity, tranquility and privacy on 90 acres with a mile of Shenandoah River frontage. Updated rambler with all new kitchen & bathrooms. Gorgeous views. Wildlife abounds. Room for your horses or vineyard. Federal riparian easement; low taxes; right to build 2nd home. (2 parcels: 70+20 acres) Adjoining 2.6ac lot for sale. See Documents for more information. Farm Remarks: Bluebell Farm: Mostly fields (have been hayed in past) on three levels, minimal slopes, some woods intermingled and far West end. Two parcels: TM#047-A-072 (70ac) +TM#046-A-1-54A (20ac). Lower field subject to River activity. All buildings are above flood zone. Aerial photo in Docs and/or Google. Riparian easement on 86 ac of total 90 ac. Some limits to animal grazing - See Easement. Directions: From I-81 (exit 283)at Woodstock, left on Main St (Rte 11) North to right on Moose Rd (Rte 664) on north end of Woodstock. Approx 3 mi to property at end of Moose Rd.